Today, every company is a media company, and your clients, customers, prospects and fans are turning to you to be engaged, educated and inspired into action. 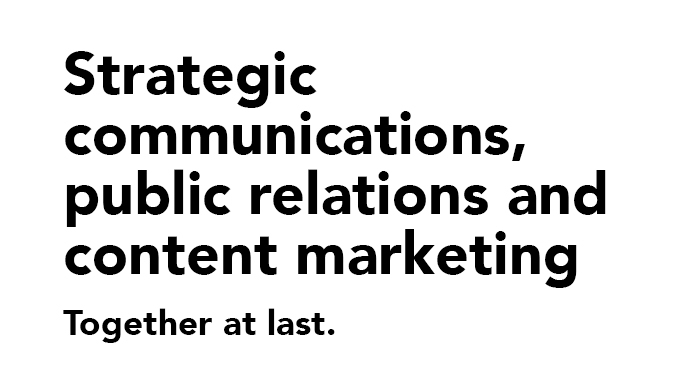 We connect businesses big and small with strategic communications, public relations and content marketing solutions from the most qualified strategists, journalists, writers and creatives in the business. STRATEGIZE. CREATE. PUBLISH. PROMOTE. MEASURE. REINVENT. REPEAT. WIN. Today's most beloved brands and businesses are emerging as highly trusted, relatable thought leaders with an intimate understanding of who their audience is and what makes them tick.